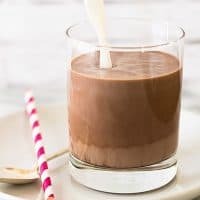 This recipe for Chocolate Milk for One makes one cup of amazing, delicious, really good chocolate milk with just four ingredients. Hey, did you know that (under very specific circumstances) chocolate milk can be considered a “health food”? A couple summers ago, I was putting on some serious running mileage and struggling with crashing after my long runs. 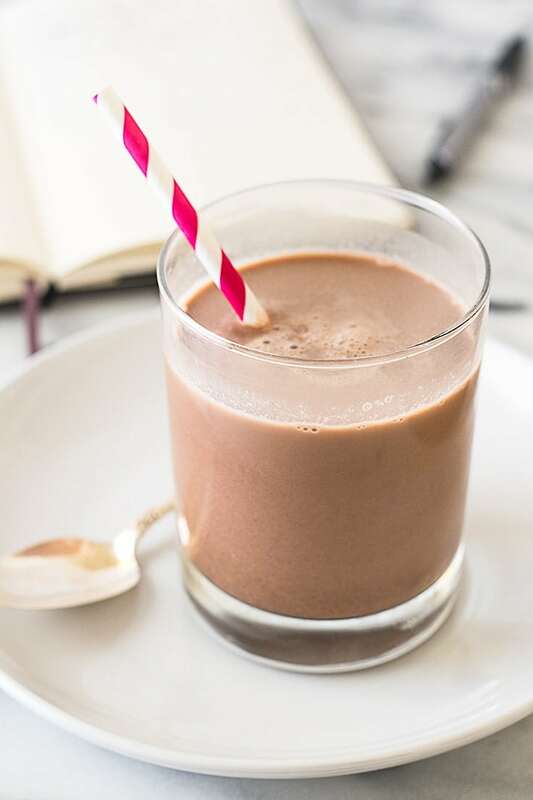 I did a little research and discovered that the most easily accessible recommended recovery drink for distance runners is actually chocolate milk! Whaaaaaaaaaaaaaaaaaat?! <–That was my reaction. I added 8 to 12 ounces of chocolate milk to the end of anything over 12 miles and I never crashed again. It was *amazing*. Plus, my local dairy sells some absolutely killer chocolate milk, so it was fun to have an excuse to indulge. Two years and an injury later, and my long runs are not all that long anymore, so I don’t have a good excuse to buy a gallon of the stuff. But I still get a craving for some really good chocolate milk every once in a while. So now I make just one cup. 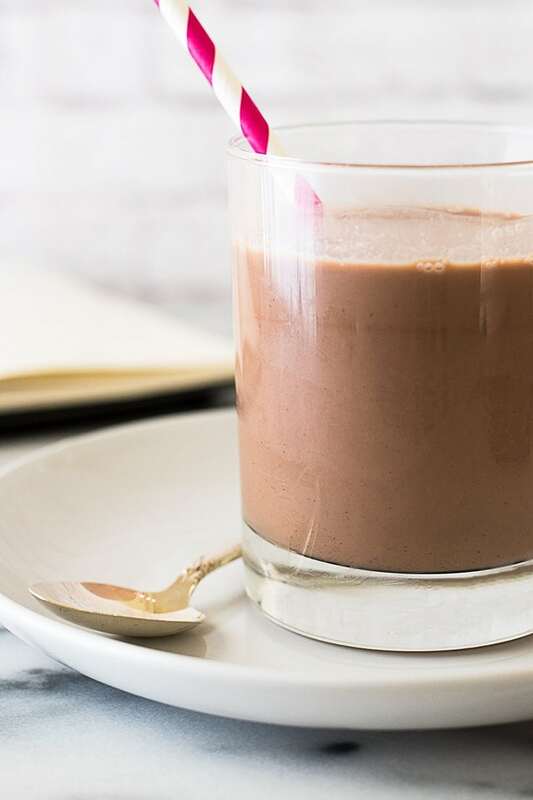 This recipe makes 8 ounces of really good chocolate milk. And you can make it in your microwave. There are only four ingredients, milk (the higher fat the tastier), cocoa powder, sugar, and a tiny bit of water. 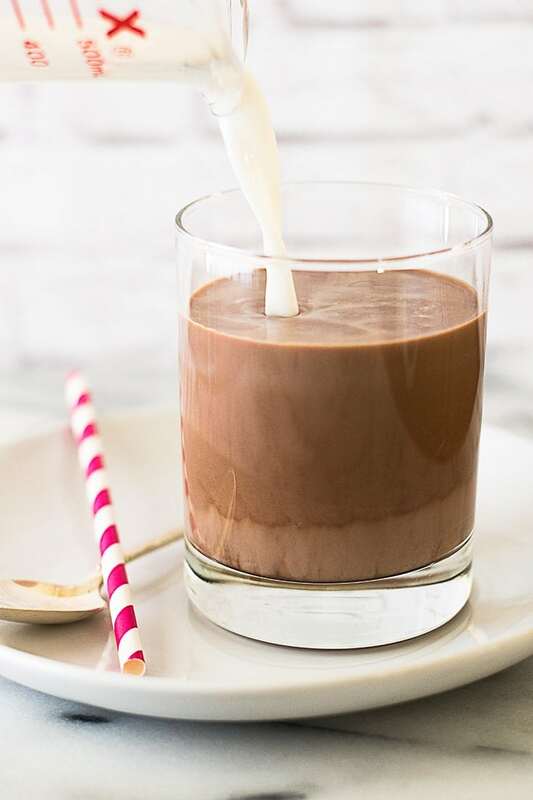 You heat 1/4 of the milk with the rest of the ingredients to make a chocolate syrup and then mix it with the remaining milk which cools everything down so it’s ready within about two minutes. It’s great if you need a long-run recovery drink–just throw it together while you are shoveling down breakfast, and have it waiting in the fridge for when you can back. In a microwave-safe cup or mug, combine cocoa powder and water. Microwave for 15 to 20 seconds, until steaming, and stir until very smooth. Add 1/4 cup of the milk and the sugar, and microwave for an additional 15 to 30 seconds, until steaming. Stir until completely mixed. Stir in remaining milk and enjoy. *I find that lumpy cocoa powder can sometimes lead to chocolate lumps that settle at the bottom of the glass. If that bothers you, you can sift your cocoa powder before mixing or pour your finished milk through a tea strainer. *Chocolate milk is always better with a little fat in it. This recipe is great with non-fat milk, but it's best when made with whole milk or non-fat with a splash of cream or half and half. If making ahead of time, be sure to give the milk a good stir before drinking as the syrup may have settled.